And these one is for my little boy, he asked them too, of course -blue and animated. Stayes very happy too, today went to school. Pure soft merino wool. O šias užsakė mano pagrandukas - šiltos, mėlynos, vilnonės ir su akutėmis, o kaip be jų. Beje, nenukentė ir flomasteriu nupaišė burną ir nosį :D na ir ką tu jam.. paturbino, taip sakant. 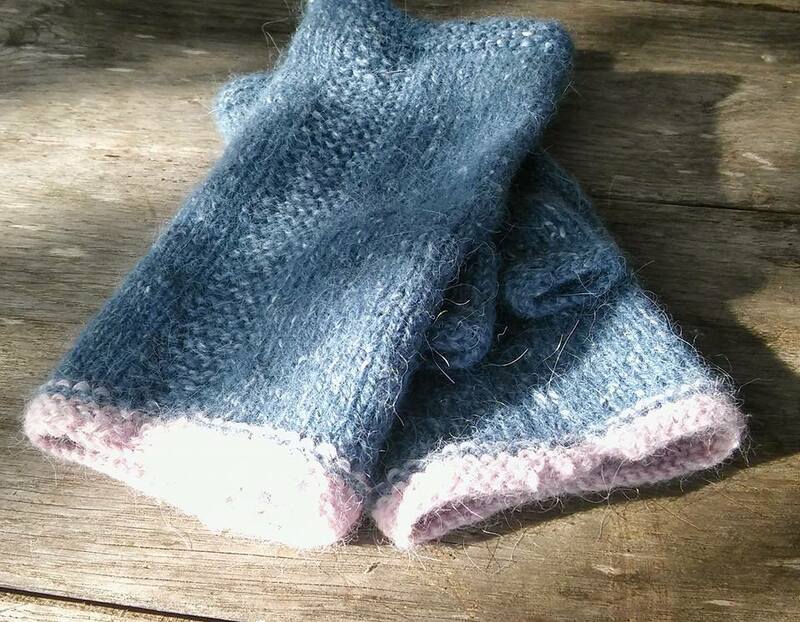 And that another mine armwarmers, which i knitted and crocheted. All of them u can find in my Shop MalramBoutique.